Here’s a fun fall craft to celebrate the harvest with your kids. Great for a fall party or just for using on their homework desk. 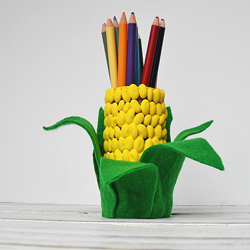 A fun way to make something for harvest time.